Thanks for looking at this new vehicle! Its one of many to choose from at our San Tan dealership in the Phoenix East Valley - And, that aint no bull! 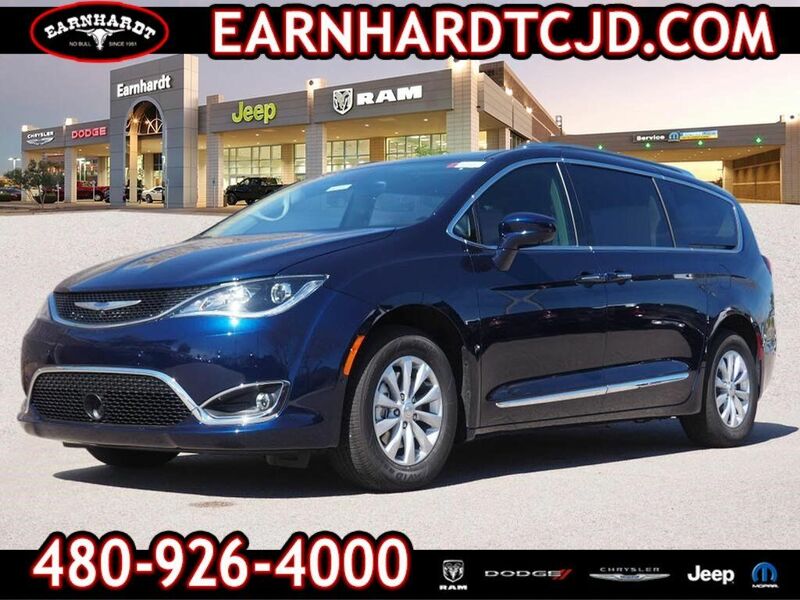 Outfitted with a rear air conditioning, push button start, remote starter, blind spot sensors, a leather interior, heated seats, stability control, traction control, and Sirius satellite radio, this 2019 Chrysler Pacifica Touring L is a true steal. It comes with a 6 Cylinder engine. Be sure of your safety with a crash test rating of 5 out of 5 stars. Kick back and relax in the comfortable leather seats. Get on the road faster with push button start and remote starter. Equipped with a rear spoiler, this vehicle will look and feel like it's ready to race. Easily lock and unlock your doors with a simple hands-free click thanks to keyless entry. Don't wait until it is too late! Call today to schedule an appointment. No Bull is more than a slogan - Its a way of life. Its a way of doing business. And it means - price wont get in the way of having happy customers. Please make us an offer today!